The UN High Commissioner for Refugees said the continued crises in places like South Sudan and Congo, as well as the exodus of Muslim Rohingya from Myanmar that started last year, raised the overall figure of forced displacements from war, violence and persecution in 2017 to 68.5 million. It is estimated that just over half of the total refugee population are children. Of the total, 16.2 million were newly displaced last year — an average of more than 44,000 people per day. Most have been displaced for longer than that, some forced to flee multiple times. The report's figures include those forced to migrate within countries. The UN pegged the number of asylum seekers worldwide at approximately at 4.4 million. "The global figure has gone up again by a couple of million," said High Commissioner Filippo Grandi. 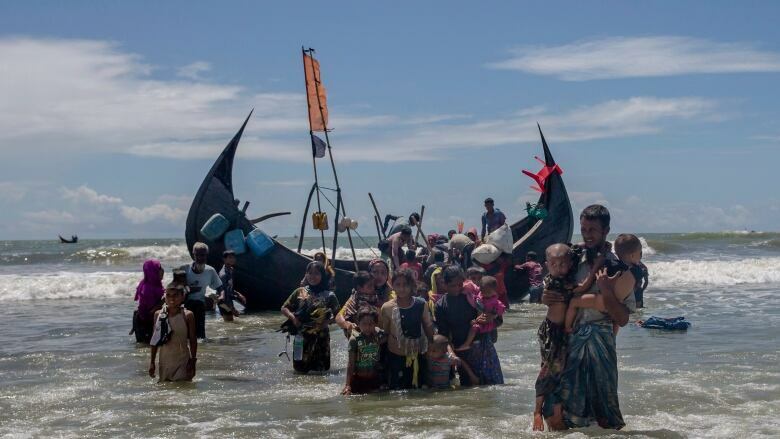 "This is because of protracted conflicts and lack of solutions for those conflicts that continue, continuous pressure on civilians in countries of conflict that pushed them to leave their homes and new or aggravating crises, like the Rohingya crisis." The UNHCR said the figures debunk the flawed perception among some that a refugee crisis has affected more developed countries in the "Global North." It said 85 per cent of refugees are in developing countries, many of them "desperately poor." In Africa, the number of refugees from South Sudan nearly doubled from the previous year, according to the report, while refugee numbers also increased in Africa from Sudan, Congo and Central African Republic. The number of Somalia refugees fell slightly. More than two-thirds of all refugees worldwide come from just five countries, the report says: Afghanistan, Myanmar, Somalia, South Sudan and Syria. The war in Syria has extended several years, but refugees from there actually increased by 14 per cent. The large majority of the 6.3 million Syrian refugees last year fled to countries in the region such as Turkey, Lebanon, Jordan, Iraq and Egypt. In countries further afield, Germany took in the most by Syrian refugees far, nearly 500,000, followed by Sweden (103,600), Austria (43,900) and the Netherlands (30,900). In terms of total numbers of refugees hosted worldwide, Turkey led for the fourth year in a row, followed by Pakistan and Uganda. Lebanon continued to host the most refugees relative to its population — one in every six persons, it was estimated — followed by Jordan. By the UN definition of refugee, Canada was credited with taking in about 26,600 people last year. While the United States total was 33,400, the UN noted it was a 65 per cent drop from the previous year. Canada was the ninth largest recipient of asylum claims in the world (47,800), a figure that doubled the previous year's total of 23,600. 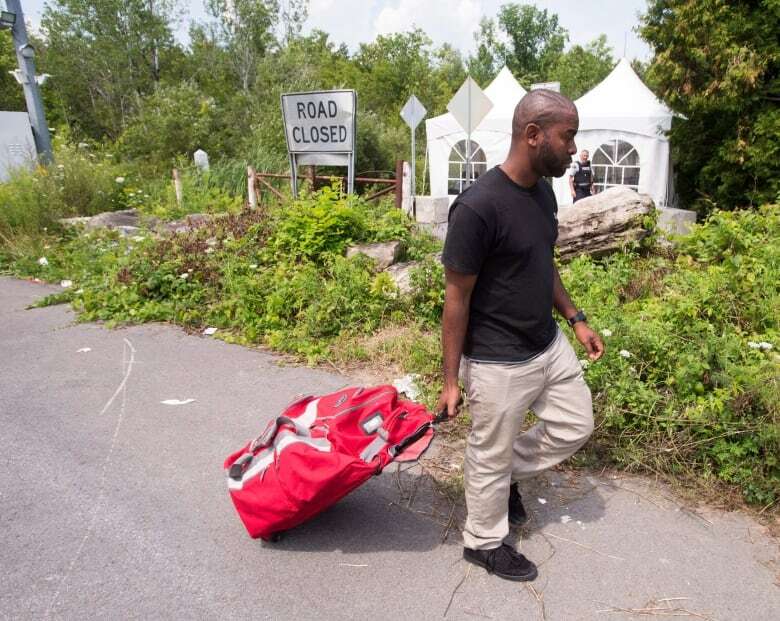 Canada is receiving the most claims, in total numbers, from Haiti, Nigeria, Turkey and the U.S., the latter attributed largely to U.S.-born children of third-country nationals claiming protection in Canada. The UN did note a decline for a second straight year of naturalizations in Canada, at 10,500. This was 60 per cent less than the number from 2015. That squares with assessments domestically, with the primary reason likely a large increase in application processing fees. The influx has led to system backlog in several countries, including Canada. Nearly 52,000 asylum claims in Canada were pending at the end of 2017, the UN estimated. In the Americas, areas of concern are Central America — where there has been been an increase so far this year in migrants making the journey to the U.S.-Mexico border to make a claim — and Venezuela, where the country's political and economic crises have spurred thousands to spill into neighbouring Colombia and Brazil. The number returning to their countries of origin increased by more than 100,000 from the 2016 total although the UNHCR has raised concern about the voluntariness of the moves. Nigeria, Central African Republic, Afghanistan and Syria featured the highest number of returnees.